Truly a romantic coastal wedding venue. 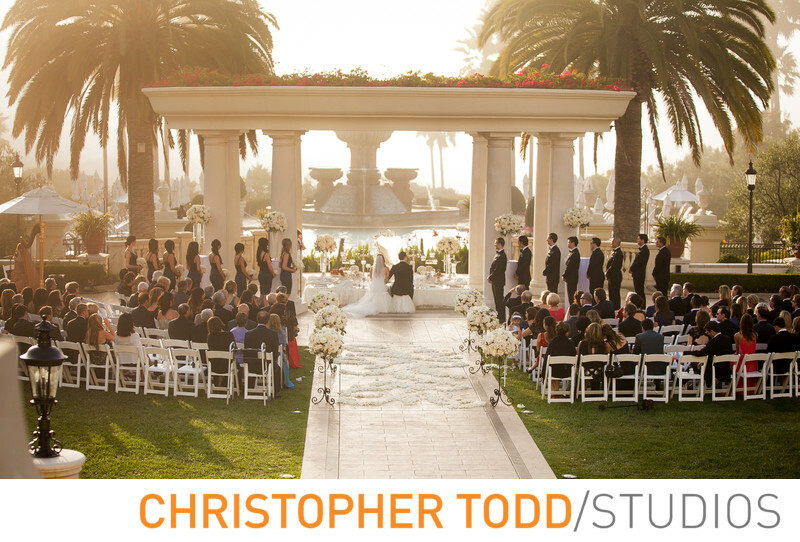 Monarch Beach Resort in Dana Point is one of Orange County's top luxury resorts to get married at. Couples love the ocean views and beautiful ballrooms. As a photographer, one of my favorite places to photograph the newlywed couple is in front of the water fountain in the courtyard. A first look inside the is iconic as the bride walks down the spiral staircase to see her groom for the first time. In this photo, you can see the couple is celebrating a beautiful Persian Ceremony. They are sitting at the white linen table during the traditional Sofreye agh. Here you can see more info about Persian Weddings. I would love to talk about your upcoming wedding. Location: 1 Monarch Resort, Dana Point, CA 92629. 1/500; f/2.8; ISO 100; 70.0 mm.